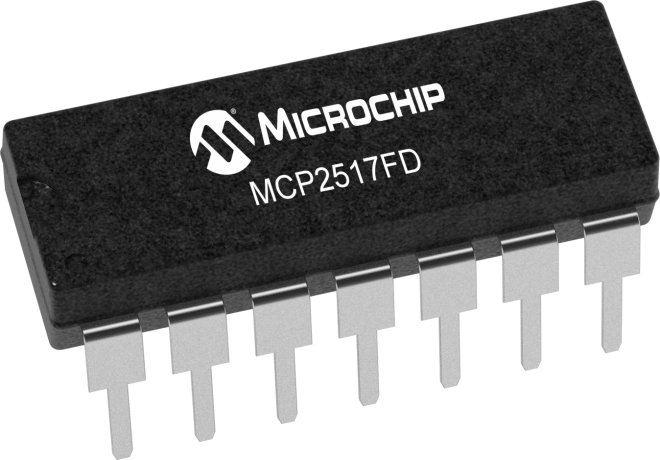 The MCP2517FD is a cost-effective and small-footprint External CAN FD Controller that can be easily added to a microcontroller with an available SPI interface. Therefore, a CAN FD channel can be easily added to a microcontroller that is either lacking a CAN FD peripheral or that doesn't have enough CAN FD channels. The MCP2517FD supports both CAN frames in the Classical format (CAN 2.0B) and CAN Flexible Data Rate (CAN FD) format as specified in ISO11898-1:2015.